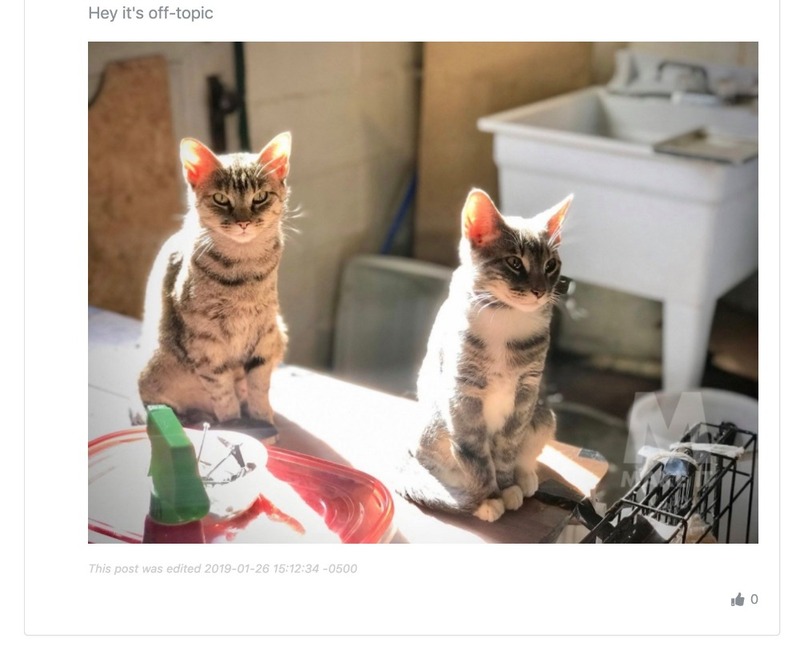 Is there a way to show photo previews in threads before they're read? For example, at the thread in the attached screenshot, it shows up as the Markdown code before a user actually clicks to read the thread. It'd be great if there was a way to show a thumbnail photo preview instead of the Markdown? As the second screenshot shows, all works as expected (photo shows) after they click into read the thread, but the overview only shows code. Dropping here because I wasn't sure if it was a bug or feature request. Of course it will be an option that store owners can set in Champ's dashboard, but yes... I've added it to the TODO list (see below). BTW maybe you could also extend this to any markdown... basically render the markdown even in snippet mode... so that the visitors don't see the actual markdown code in the preview which might be distracting for some. Hi @Anonymous -- yes, I'll look into that as well. As a forewarning: It will also be a setting that you (the merchant) need to enable. As a user can create all sorts of havoc by using heading tags in markdown, the preview could potentially look terrible.